A modern statement piece pendant to start conversations at a party. 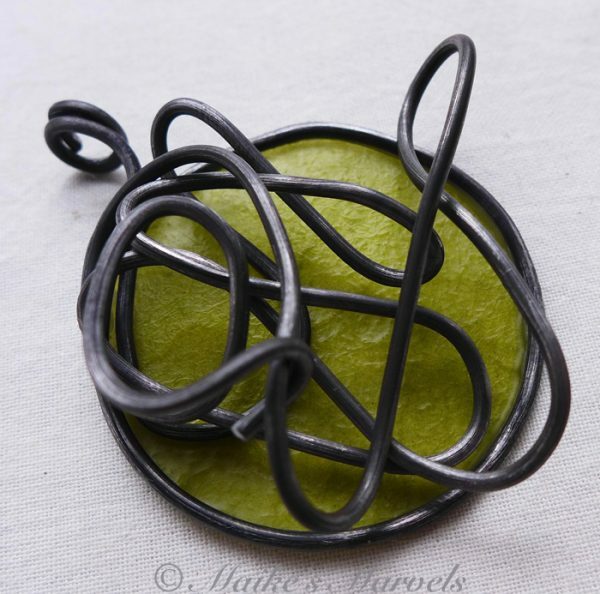 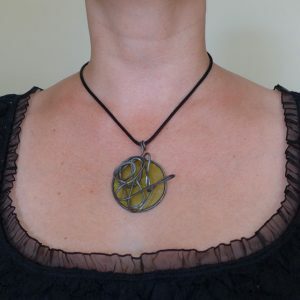 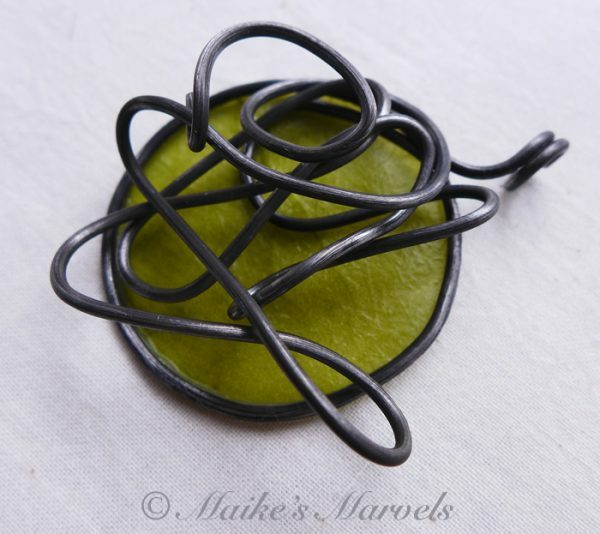 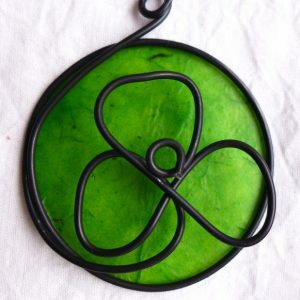 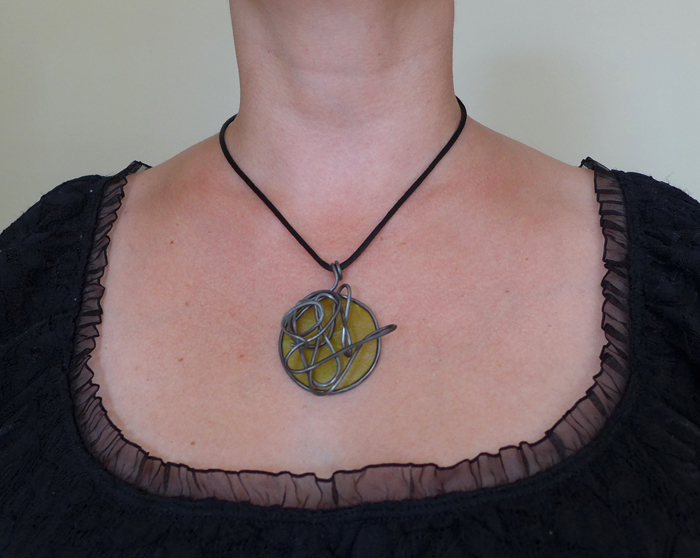 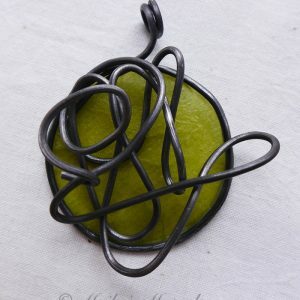 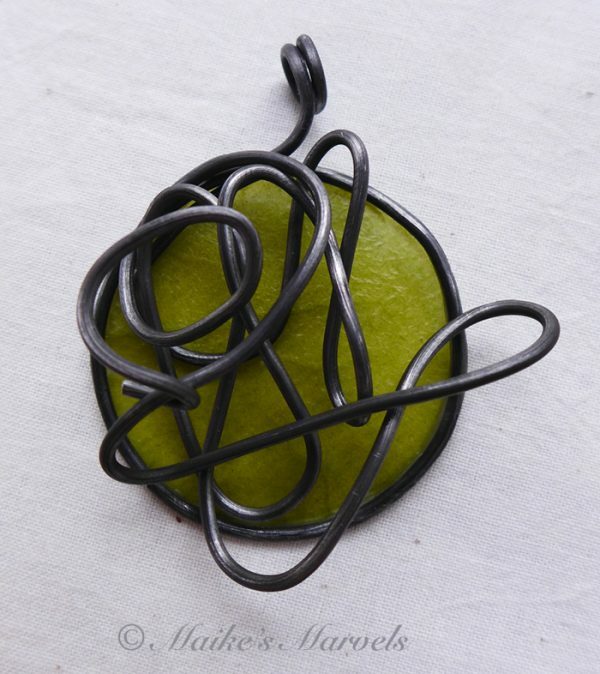 Bring in the green with this abstract sculptural wax and wire pendant. 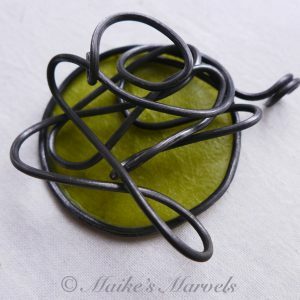 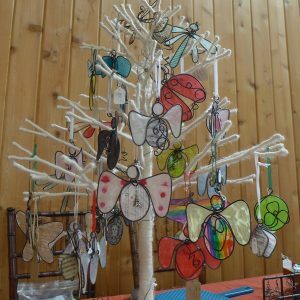 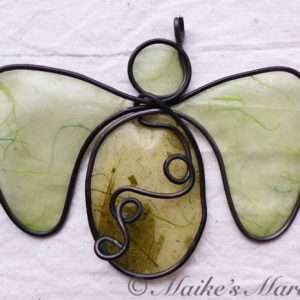 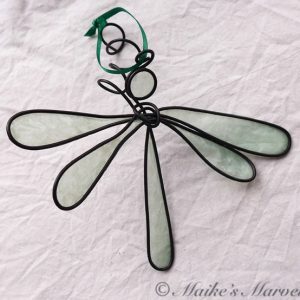 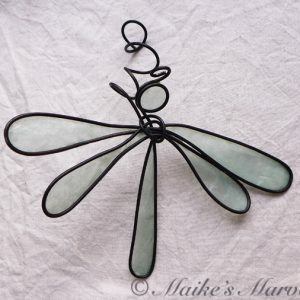 Lime green artisan paper was dipped into a beeswax and resin mixture called encaustic medium and then adhered to hand-bent steel wire. 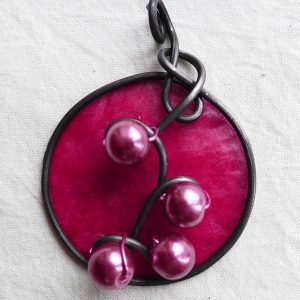 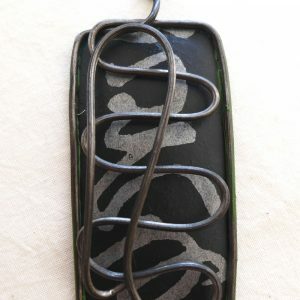 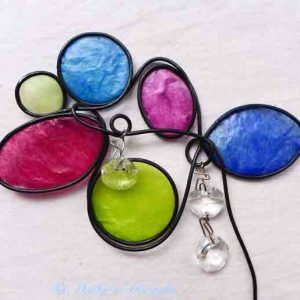 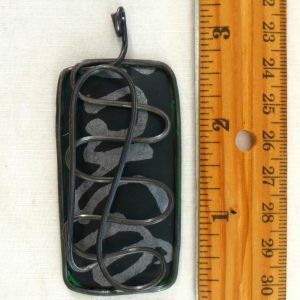 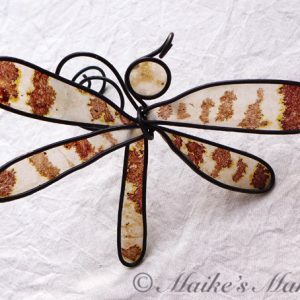 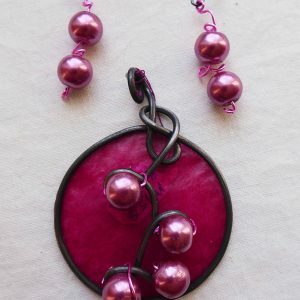 This lightweight pendant measures 2 inches long by 1 3/4 inches wide and comes with a black satin cord. 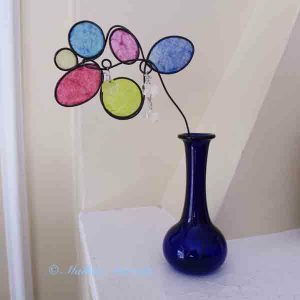 Encaustics should be cared for as you would for any fine art piece. 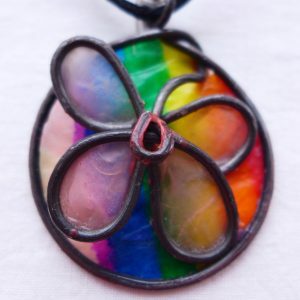 Encaustic derives from the word “burn in” and is a process of applying molten wax colors to a surface for the creation of images or decoration that began more than 2 millennia ago with Roman Egyptian wax portraits.